Disclaimer: This post contains affiliate links at no cost to the reader, and all opinions are my own. All toddlers want to do is snack and finding healthy, but tasty options for picky eaters can be tricky. I’ve put together a few ideas that I’ve learned from my mommy friends work most of the time. Baby Foodie– I’ve been following this blog since Em could eat solid foods. Her puree combinations kept meal time exciting and her toddler snacks continue to be a staple in our house. She’s also written several amazing books Little Foodie, Little Bento and Whole Food Baby, which I frequently reference. 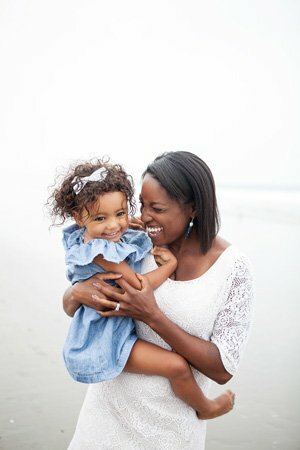 California Toddler- Another local LA mama, who uses Instagram to collaborate with toddler focused companies and always shares inspiring plated food ideas! Munchkin Snack Catchers– These snack catchers are great because they are easy to clean, the top is easy for tiny hands to grab food and most importantly keep snacks contained. We fill ours with fruit, veggies, crackers etc. and we’re good to go for the day. Yummi Pouch Cloth Snack Bags– Snack bags are amazing because they aren’t bulky and also do a great job of keeping snacks contained. These bags are also washable in the dishwasher on the top level! Dr. Pragers Spinach, Kale, Broccoli and Sweet Potato Minis – Microwave these for 2-minutes and you’ve got an easy, portable, and healthy snack that are packed with nutrients. Earth’s Best Mini Waffles- Add peanut butter, a sprinkle of chia seeds and a thin slice of banana for added potassium. String Cheese ( Cheddar, Goat, Mozzarella)- Make it fancy and add some whole wheat crackers, lunch meat (without nitrates), grapes and you’ve got toddler charcuterie. Smoothies– You can make so many smoothie combinations and thanks to the Trader Joe’s frozen fruit section, you can try new flavors all the time. We personally love adding figs and cherries, and always a huge handful of spinach to boost iron. You can also choose your adventure and decide which kind of milk you want to use( whole milk, almond milk, coconut milk). Muffins– I’m wild about mini- muffins because they are easy to make and transport. Our silicon tray is one of my favorite kitchen tools and I use it weekly. I usually whip up a big batch at the start of a week that keeps fresh in an air-tight container. 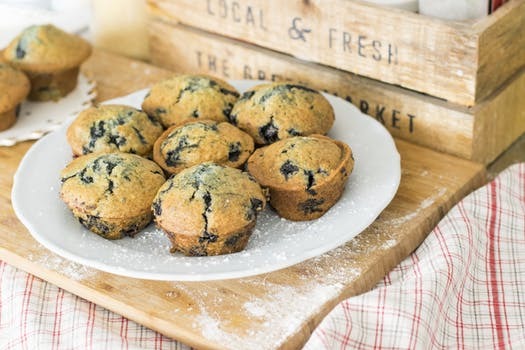 To prevent your toddler from getting bored, muffins can also be made in many different combinations ( eggs, blueberry, zucchini carrot etc), so that your toddler won’t get bored. Sarah’s Gastromommy blog also has some really great muffin recipes. Cottage Cheese- Berries are a staple in our home and we try to pair them with cottage cheese for flavor. A mixture of cottage cheese and applesauce also is a big hit at our house. Mini-Bagels– These are the perfect size for little fingers. You can spread cream cheese,almond butter, cashew butter or peanut butter on top for an extra protein boost. Siggi’s Yogurt Sticks– I learned this trick from my mommy friend and I’ve been obsessed ever since! Put the Siggi’s Yogurt Sticks in the freezer and take one out when you’re ready to use it. If you wait about 15 minutes, it becomes a nice cool ice-pop treat. It will be even more refreshing in the summer! Banana Ice-Cream– I learned this one watching Daniel Tiger, but it works and it’s yummy! Save a few bananas and make sure they are really ripe. Cut them into pieces and put them into the freezer. When you’re ready add the pieces into your blender and voila you have banana ice-cream. Top with fruit and you’ve got a fun and healthy treat. Veggies– Roasting veggies really brings out the flavor, but it takes time and management of a toddler around a hot stove. We still do a lot of steamed veggies and our favorite are carrots, broccoli, and string beans. Cucumber slices and red pepper sticks are also a favorite with some hummus for dipping. Rice Cakes– Add a little peanut or almond butter on top and you’ve got a great snack. They even have little mini rice cakes that are the perfect snacking size for a tiny toddler. Bitsy Brain Food Smart Crackers(Whole Foods)- This organic crackers are amazing and each pack has 1/2 serving of veggies. We pair these with hummus, and fruit. Happy Family Organics Chickpea Straws– A yummy snack that comes in two flavors: cheddar + spinach & sweet potato + rosemary. These are crunchy to munch on and can be served with veggies or fruit. To give it a little kick, add a side of hummus for dipping. Happy Snacking! What are some of your favorite healthy snacks?